Discover the global phenomena of Caterina! DVD features dancers from the acclaimed ABT Summer Intensive, Stefan Wenta Ballet and Westside Ballet Academy. •	Caterina is a unique, global character that has been found to engage kids of any age and cultural background! •	Children respond better and learning is enhanced when taught by animal characters! to relax and put your feet up while your kids learn a fun, affordable and empowering art form! •	Caterina shares positive messages to encourage children to believe in themselves and teach them that they are special and unique.  CATERINA is a Siamese cat who loves to dance ballet. She shares her secrets with baby ballerinas from all over the world to inspire their dreams and dance with love.